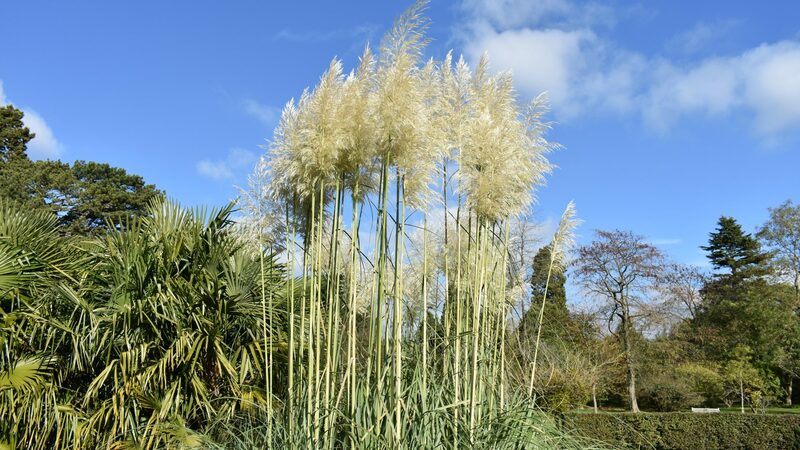 The feathery plumes of the pampas grass can be seen towering over the Systematic Beds. Cortaderia selloana is a vigorous plant which forms dense tussocks of arching strappy leaves to 2.5m in length. From these tussocks emerge the flowers which comprise many individual spikelets to form a wispy panicle which can grow to 3m in height. C. selloana occurs in the plains (or pampas) of temperate South America. In cultivation it enjoys an open, well-drained site, and, given plenty of space, it makes an impressive specimen.